The cruciferous vegetable is full of sulforaphane, a compound that can help maintain blood sugar levels. Studies even show that it might have anti-cancer properties. However, once broccoli is cooked for several minutes, the benefits of sulforaphane are destroyed. To absorb the compound, broccoli must be “damaged” before they can be absorbed. The study suggests chopping the vegetable into 2-millimeter (mm) pieces. The chopped broccoli must then “sit” for 90 minutes before it is gently stir-fried to boost their sulforaphane levels by 2.8 times. 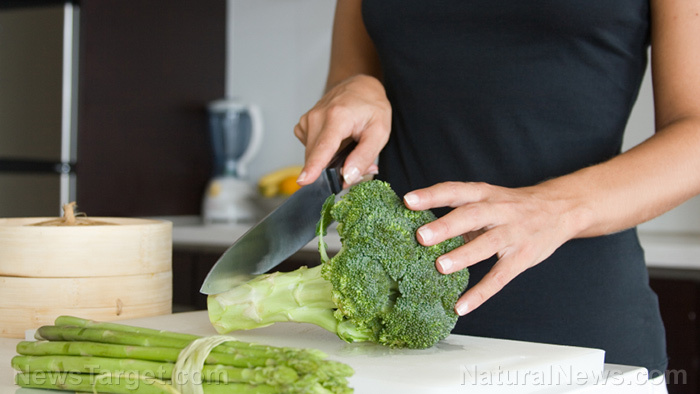 While the reason for the boost remains unclear, the researchers believe that waiting before cooking chopped broccoli lets the sulforaphane “develop.” Waiting for 90 minutes before stir-frying the vegetable seems like a fair trade, especially since it isn’t as easy to absorb sulforaphane when it is taken as a supplement. Researchers from the university bought several heads of broccoli from a local market. The produce was then chopped to activate the enzyme myrosinase, which plants use to protect themselves against herbivores. With the enzyme, sulforaphane becomes available for absorption. The chopped broccoli was then divided into three piles. The first was left as it was, the second pile was immediately stir-fried for four minutes, and the remainder was cooked quickly over high heat after letting it sit for 90 minutes. The researchers explained that cruciferous vegetables like cauliflower and kale contain a substance that promotes gut health and barrier function. They added that “maintaining a healthy intestinal lining could prevent leaky gut syndrome,” which leaves the body vulnerable to toxins and pathogens. Red, orange, yellow, and some green vegetables – Bell peppers, butternut squash, carrots, pumpkin, sweet potatoes, and tomatoes are full of carotenoids, powerful antioxidants vital for eye and immune health. Carotenoids “become more absorbable in our bodies when heated.” Cooking also releases lycopene, a cancer-fighting antioxidant, in tomatoes. Saute the vegetables over medium-high heat until tender, but note that cooking time will vary depending on the size. Cook them in an oil that won’t break down at high temperatures like algae, soybean, peanut, and sesame oils. Leafy green vegetables – Includes kale, spinach, mustard greens, collard greens, and Swiss chard. These raw, leafy greens are full of oxalic acid, an organic compound that prevents the body from absorbing the healthy calcium and iron they provide. Cooking will help break down oxalic acid so the body can benefit from these nutrients. Steam leafy greens for 10 minutes over boiling water until they wilt. Purple vegetables – Includes red cabbage, beets, eggplant, and red onions. Purple vegetables contain phytochemicals called anthocyanins which are anti-inflammatory and can help lower the risk of heart disease and cancer. Roast or stir-fry these vegetables.